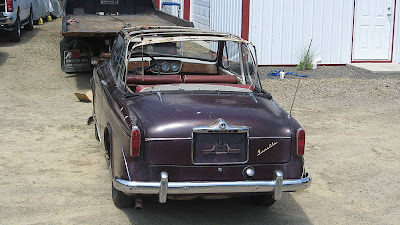 This is a rare Rootes Group car to see in the US. The Rootes Group included Hillman, Humber, Singer and Sunbeam (They also built Talbot cars for awhile and truck brands Commer and Karrier.) 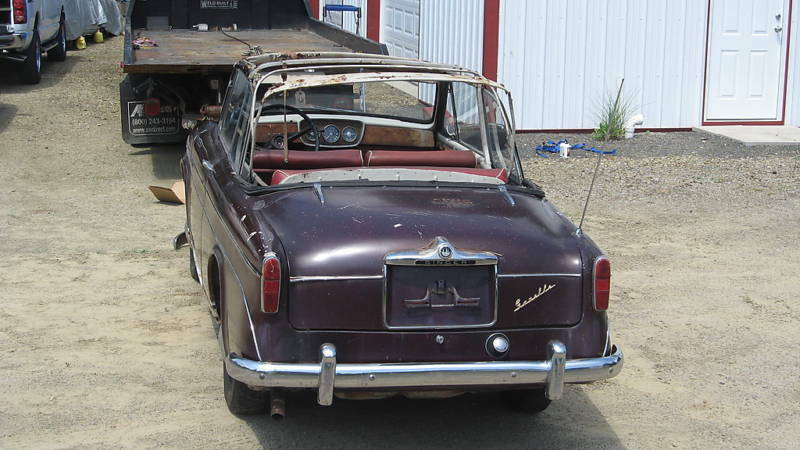 While over the years they sold all 4 major car brands in the US, their emphasis was on Hillman and Sunbeam. Not many Humbers or Singers found homes in the US. The Singer Gazelle is an upmarket, badge engineered Hillman Minx. The nose was different, there was different chrome trim on the rear, and the interior was slightly better appointed. Everything else was pure Hillman Minx. The engine is the 1500cc Rootes 4, which is fairly durable, but not very powerful. Top speed for this car is around 80 MPH. The body was what Rootes called the "Audax" (Latin for "bold") body and was their first attempt at a unibody car. This car is a labor of love. It needs a lot of work. It especially needs a lot of body work. The good part, the very good part, is that this car is almost complete. 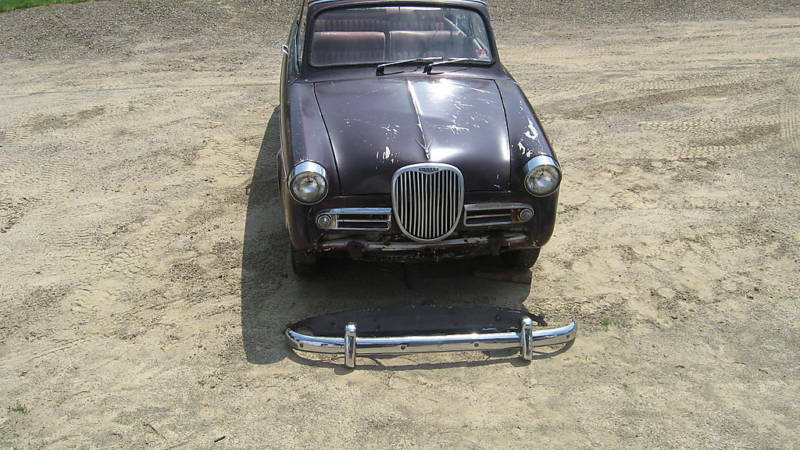 Mechanical parts for Rootes cars are not too tough to come by, but body parts and especially trim pieces can be damn near impossible to find these days. 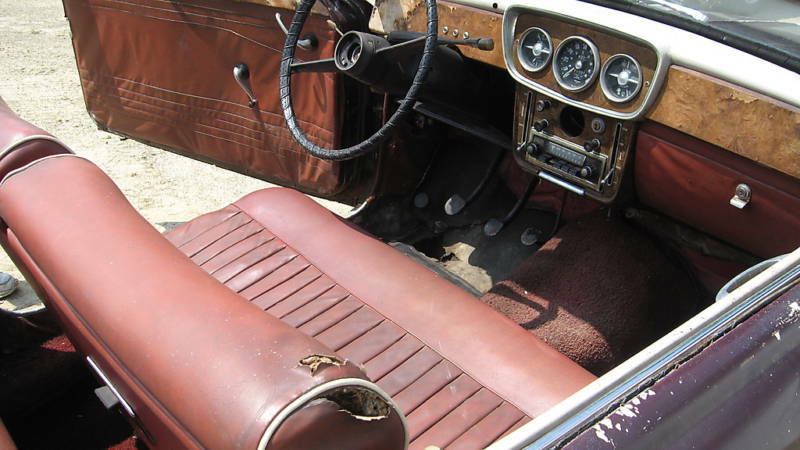 Even a driver quality restoration on this car will cost way more than it's worth. Still, I hope someone with the time, talent and money takes it on. These cars are extremely rare on this side of the Atlantic and it would be great to see this one on the road again. Located in Indiana, PA, click here to see the eBay listing. I'm also fascinated by these... does anybody drop in the 1725cc (I think) engine from an Alpine? 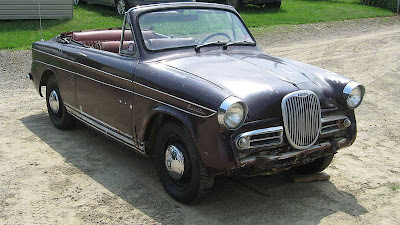 The Rootes Convertible cars were probably the best looking cars available in the 1960's, when I was a teenager. In answer to Chris Keen's question, the fitting of a 1725cc seems quite straight forward. I know of a Twin Carb engine which was fitted along with an overdrive gearbox. The improvement is fantastic. Only difficulties were altering the propshaft and a slight change to the exhaust. A very worthwhile project.